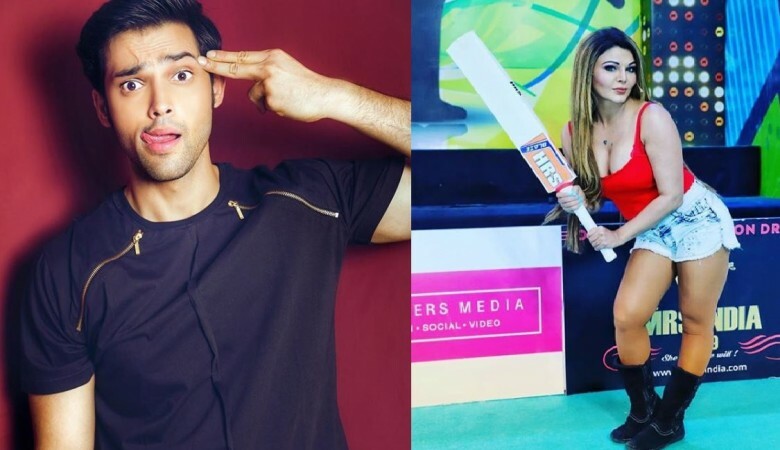 A video has surfaced online where Rakhi Sawant is seen flirting with Parth Samthaan but what the Kasautii Zindagii Kay 2 actor did will leave readers in splits. Parth Samthaan is one of the most loved television celebrities and while the Kasautii Zindagii Kay 2 actor enjoys a lot of female attention, he recently left everyone in splits when Rakhi Sawant tried to grab his attention. It happened during one of the matches in the ongoing Box Cricket League 4(BCL 4) when Rakhi, who is also part of the tournament, tried to flirt with Parth. A hilarious video has surfaced online, where one can see Rakhi trying to distract Parth by dancing and flirting with him, while the latter runs away from her and tries to focus on the game. Meanwhile, rumour has it that Parth and Hina Khan, who play the roles of Anurag and Komolika, respectively, in Kasautii Zindagii Kay 2, shared an awkward customary greeting at one of the matches in BCL 4 held recently. Despite the two having shot several scenes together for their show, Parth and Hina apparently didn't even strike a brief chat before crossing each other's path. An eye-witness told SpotboyE: "We thought that Hina and Parth would chat, given the fact that they are working on the same show Kasautii Zindagii Kay 2 (mind you, Hina has not yet gone for a break exactly as we had told you that it won't happen before April is over). But both did not say anything to each other except mumble a 'Hello'. It was so much in the face that hardly anybody who was within a near radius missed it." The witness added, "It is now so evident that Parth and Erica are dating, and in fact, their relationship is growing by the day. Earlier, Parth did not invite Hina to his birthday party. And now, the two couldn't strike a 2-minute conversation."